One of my latest pieces of Kinetic Sculpture, reflection is really quite fascinating. 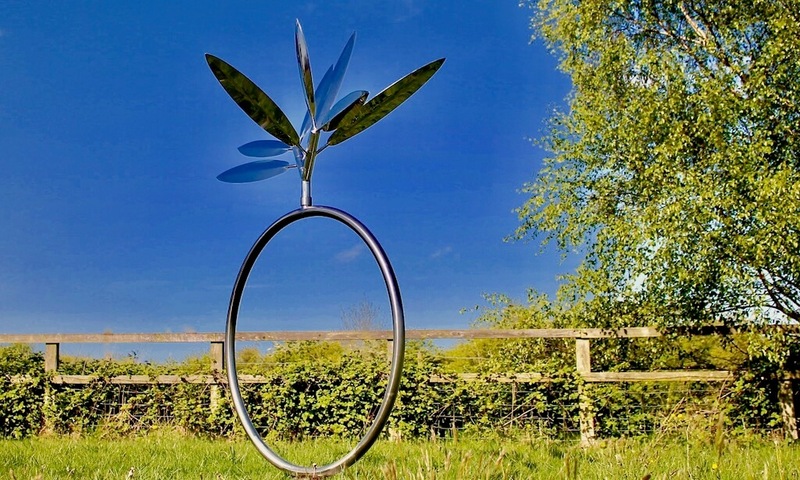 The poised circle represents the infinite nature of energy which really connects beautifully with the energy in the movement of the reflective leaves. 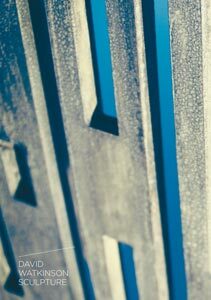 This piece is uplifting yet peaceful, reflecting it’s environment and creating a wonderful sense of fluidity. 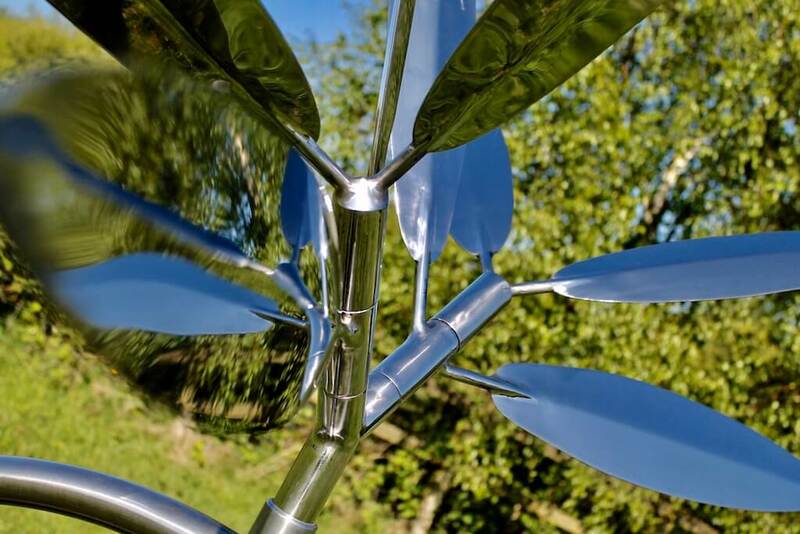 'Reflection' is a dynamic kinetic sculpture using highly polished stainless steel. 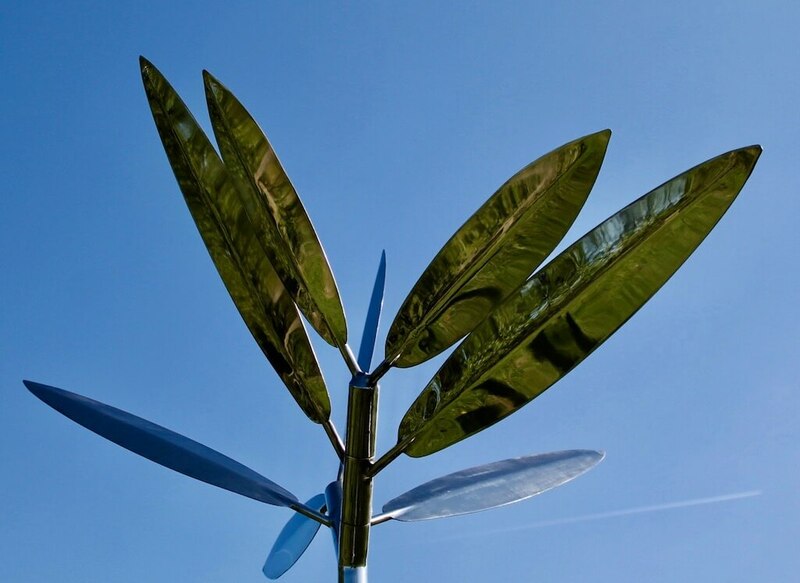 The combination of a complex movement with the highly reflective surfaces create an absorbing and piece; it draws in and captures the colours of the sky and the surrounding environment in an almost mecurial way.